Frye has centuries of experience in the boot-making trade, so it’s no wonder the brand is one of the leading makers of all-American boots. The oldest continuously operated shoe company in the United States, Frye uses some of the finest leathers and materials and relies on skilled artisan craftsmanship, allowing this footwear brand to offer iconic leather boots that boast unparalleled quality. Frye’s roster includes countless styles, ranging from timeless American classics to modern lifestyle boots. 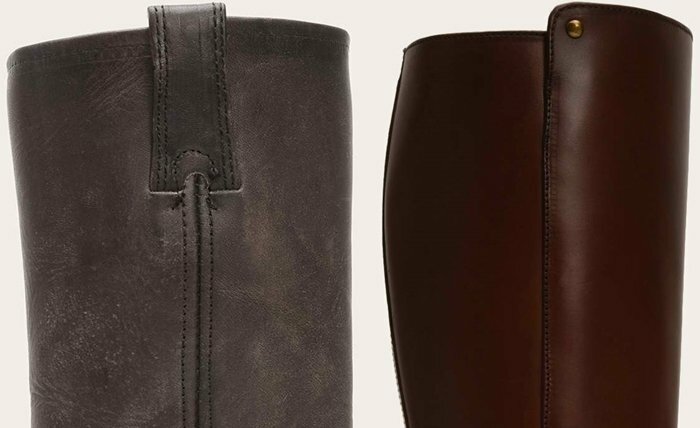 Below are the top five online retailers where you can purchase authentic Frye boots. If you’ve been planning to buy secondhand Frye boots or are looking to shop via an unauthorized reseller, it is best to do some research first in order to avoid being scammed. You need to be particularly careful when buying shoes on eBay. There are a lot of counterfeit Frye boots circulating online, which are being passed off as real Frye boots. Read our seven-step guideline below to help you authenticate Frye boots. Familiarize yourself with the styles released by The Frye Company. Since Frye has been around for a long time, there are many different styles available for sale. Make sure to head over to an authorized retailer first to view the brand’s current products. You will usually find high-resolution images that you can use for comparison. Frye boots come in a simple white box with the Frye brand name and logo along with the words “Benchcrafted since 1863.” On the side of the box, there should be a sticker that shows product details, including style number, color, and size. Ensure that all the details are accurate. 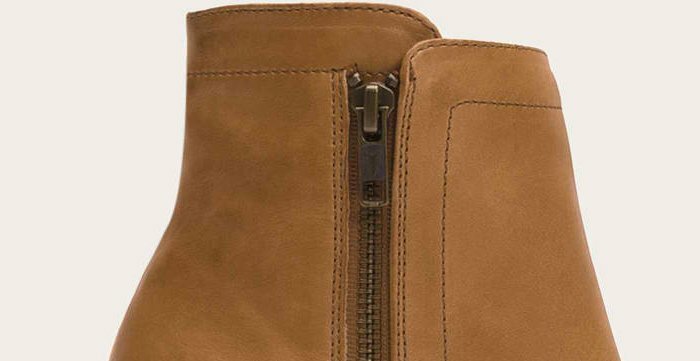 The boots inside should also come with Frye tags that display a bit of history about the brand. The inner lining of the boot should display a serial number and product details that match the details on the side of the box. 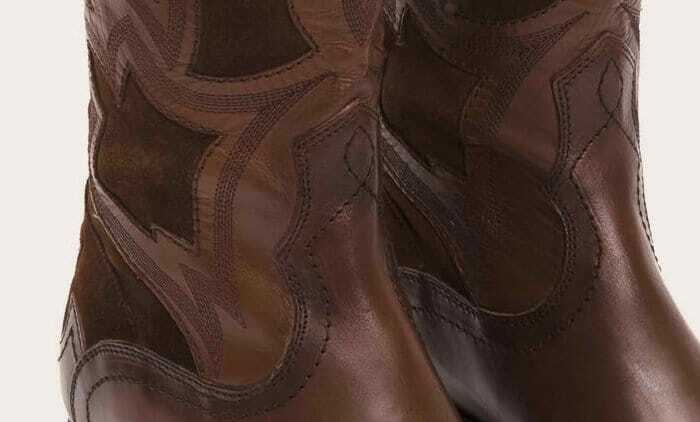 There are several types of leather finishes used to make Frye boots. The leather varies from lightweight and polished to rugged and full grain. Genuine leather will always look and feel rich and soft in texture, with the characteristic smell of leather. Upon closer inspection, real leather will also exhibit pores and abrasions while faux will look uniform and perfect. Clean and even stitching is a mark of quality craftsmanship. Threads used should be the same color as the leather unless the stitching is displayed as a detailed design. Watch out for loose and uneven stitching, which is a clear indicator of replicated goods. 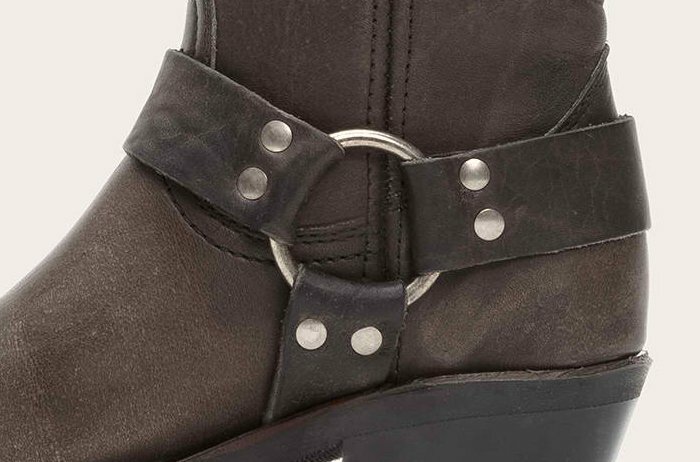 Genuine Frye boots have antiqued metal hardware. The hardware should look slightly bronzed or silver and should feel heavy. Counterfeiters might use a cheaper version of metal that would feel slightly lighter. 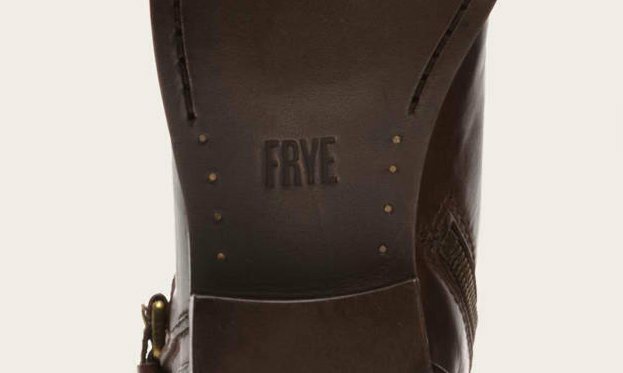 The outsoles display the brand name FRYE in bold capital letters. Other models, — usually the more rugged styles — would have a Neoprene Safetech Oil Resistant stamp on the outsole to identify the rubber technology used. 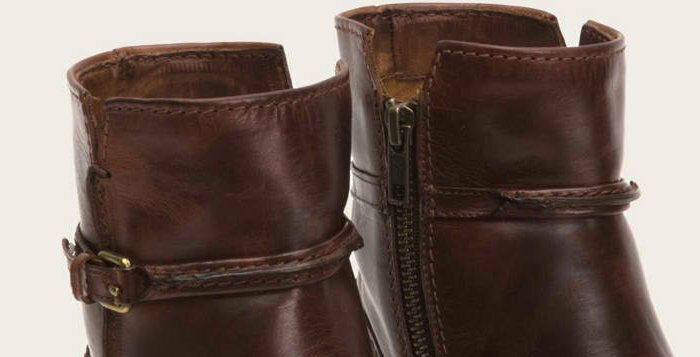 Fake Frye boots might miss the mark on the brand stamp, or will completely forego this important detail. 7. Check other details and fit. The Frye Company prides itself in creating well-constructed boots made from the finest leathers and materials. These boots go through several quality control checks to make sure even the smallest details are fine-tuned. Another important factor is the fit, which can make or break any boot. 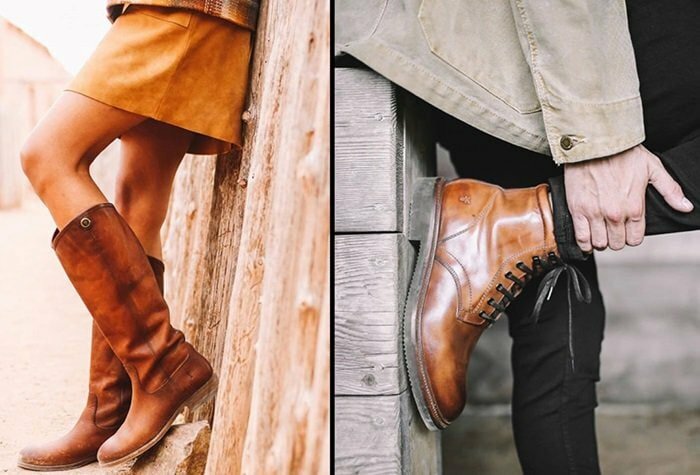 Genuine Frye boots should feel good on your feet, even right out the box. These quality pieces are made to be sturdy but comfortable. Cheap replicas might be able to copy the exterior look of a Frye, but will often feel rigid and tough, even after a break-in period.